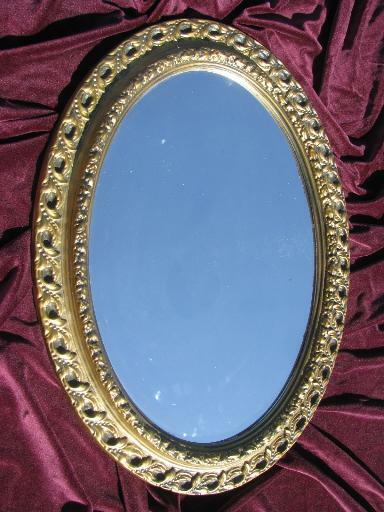 Large oval wall mirror in the 60s french provincial style, with ornate 'antique gold' plastic frame, and glass mirror. This isn't marked that we can see... I don't believe it's Burwood (it looks as though it's made differently), but possibly Homco or similar? 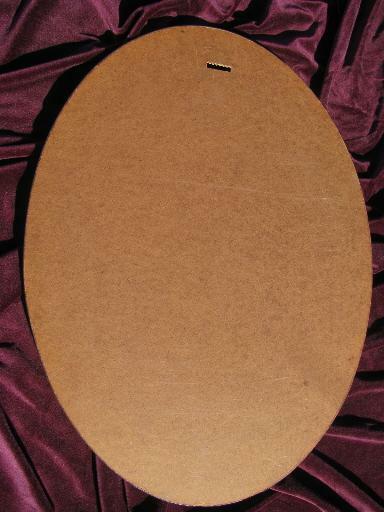 It measures 23 1/2" x 17 1/2" overall, with hardboard back slotted for hanging. 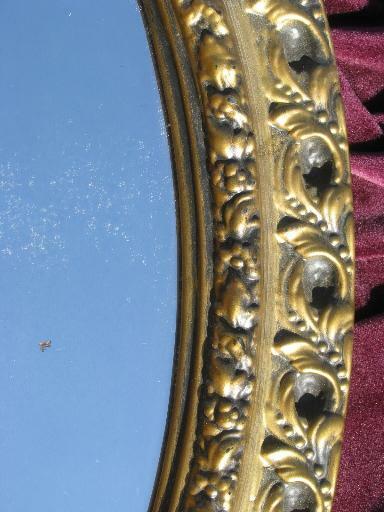 The mirror glass is spotted (we've shown it in the close up photo), mostly at the edges.